I’m sure you’ve seen the cute yet spiritual Precious Moments figures somewhere. (If not, go to your local greeting card store or check out the Precious Moments web page at http://www.pmcdolls.com) Chances are, someone near and dear to you collects them. They look nice enough in the cabinet, but wouldn’t it be fun to take them out and play with them? Even better, how about a miniatures wargame with Precious Moments figures? OK, it can’t be too gruesome or violent, but it can be done. Here are rules for a Precious Moments Miniatures Battle game. Over the past few weeks, Dave has talked about six roles the GM plays—Director, Writer, Referee, Host, Actor, and Tactician—and how each of those roles helps to make a fun and memorable game. 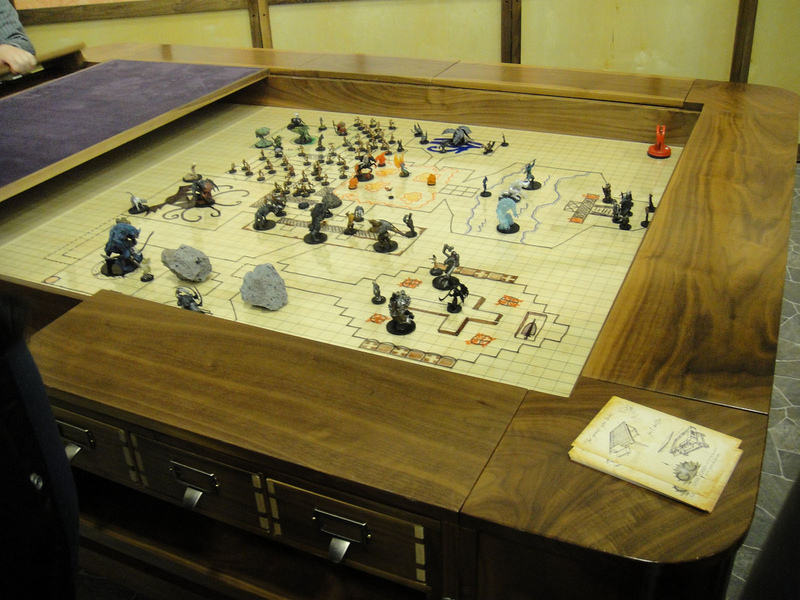 A good GM runs a smooth game by making his players comfortable immersing themselves in the game, by running a game that his players want to play in, and by making quick, appropriate decisions relating to his game world. Some people are a bit more well prepared than others.